Embark on a rewarding career as an enrolled nurse with the opportunity to work anywhere in Australia with the Diploma of Nursing. This course provides the foundational skills and knowledge to work as a nurse in the dynamic healthcare industry. You’ll learn to provide acute, preventative, curative and rehabilitative care under the direction of a registered nurse. You will gain hands-on learning experience in our ward simulation labs as well as clinical experience through 400 hours of practical placements. This course equips you with the skills, competencies and knowledge to apply for registration as an Enrolled Nurse with the Australian Health Practitioner Registration Authority (AHPRA). Victoria University Polytechnic has the latest technology that allows you to practice your skills in a safe environment. We have three fully functional nursing laboratories and an in-hospital simulation laboratory. You’ll use cutting-edge interactive mannequin technology designed to simulate the treatment of patients in a real-world environment. Our simulation labs also offer video recording from fixed cameras with live video streaming capabilities for greater interactive learning. You will undertake 400 hours of clinical training across 4 separate placements during your course. Here you’ll have the opportunity to experience the true nature and challenges of contemporary nursing practice. You will work and learn the spectrum of nursing specialities alongside expert clinicians. You’ll enjoy a positive and supportive clinical learning environment. Please note: placements may be in either a metro or regional area. Gain hands-on learning experience in our ward simulation labs and clinical experience through 400 hours of practical placements. With an increasing and ageing population, the nursing sector is anticipated to continue to grow. A Diploma of Nursing from Victoria University Polytechnic can help you launch a career in an industry where you’ll make a positive contribution to the people you care for, and the wider community. This course provides a pathway to many exciting and rewarding career options within the healthcare industry. On completion, you will have the skills, competencies and knowledge to apply for registration as an Enrolled Nurse with the Australian Health Practitioner Registration Authority (AHPRA). You could find work in a variety of fields from public or private hospitals to private nursing or community health care facilities. Graduates of Victoria University Polytechnic and Victoria University’s nursing courses are known in the industry for their extensive practical experience before they finish their studies. 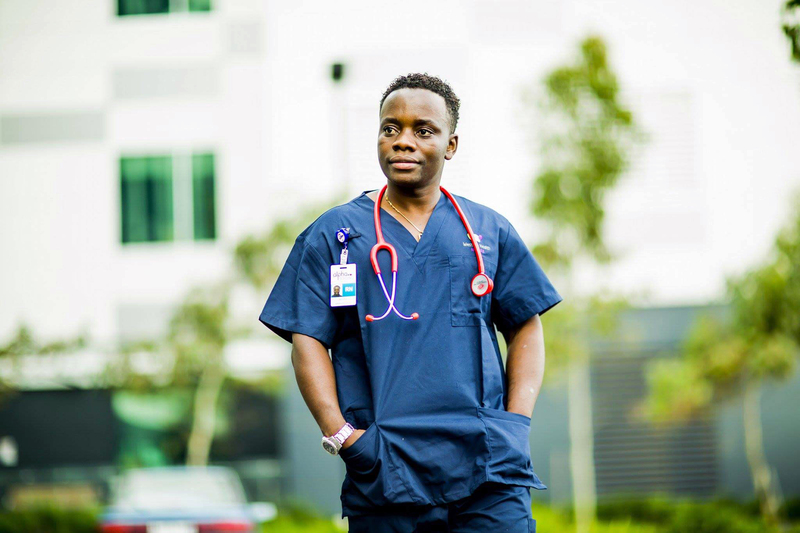 After escaping the Democratic Republic of Congo's civil war at 16 and spending three years in a refugee camp in Tanzania, Mlisho Karega came to Australia with the dream of becoming a doctor. If you choose a study pathway into the Bachelor of Nursing, 92% of the degree’s graduates in Australia were employed full time four months after graduation (GradStats). up to two (2) units from any endorsed training package or accredited course – these units must be relevant to the work outcome. A graduate from a Diploma of Nursing program approved by the Nursing and Midwifery Board of Australia (NMBA) is able to apply for registration with the NMBA as an enrolled nurse. Further information on registration is available at www.nursingmidwiferyboard.gov.au. •	Successfully completed an Australian Year 12 or a formal English language test and have achieved numeracy skills that align to Level 3 of the Australian Core Skills Framework (ACSF). Applicants must be able to demonstrate that their primary language is English and they have satisfactorily completed at least six years of primary and secondary education taught and assessed in English in either Australia, Canada, New Zealand, Republic of Ireland, South Africa, United Kingdom or United States of America, including at least two years between years 7 and 12. Applicants must be able to demonstrate that they have satisfactorily completed three years (full-time equivalent) of education taught and assessed in English, in either Australia, Canada, New Zealand, Republic of Ireland, South Africa, United Kingdom or United States of America. •	tertiary education taught and assessed in English. Note: It is a requirement of the NMBA English language skills registration standard, for registration as an Enrolled Nurse via this pathway, that five years (full-time equivalent) in total is completed. The satisfactory completion of HLT54115 Diploma of Nursing at Victoria University Polytechnic forms the additional 2 years required to meet this requirement. Prior to enrolment, all applicants will be required to complete a literacy and numeracy assessment as well as participate in a group interview to assist with determining eligibility and to identify learning support needs. Applicants are required to be at least 18 years of age on their first placement. Note: the Police Record Check will need to be renewed annually for each year you are enrolled in this course.